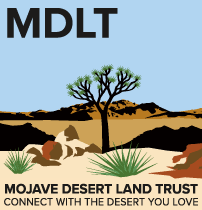 In observance of National Public Lands Day, MDLT will partner with our friends from BLM Barstow, the Landers Community Association, and Blight Sites for a morning of clean-up activities around this famous historical feature of the Mojave Desert. Today’s stewardship work will be accompanied by stories about the historical and cultural significance of Giant Rock, part of Blight Sites’ collaboration with Yucca Valley’s Hi-Desert Nature Museum: Our Giant Rock – A Community Touchstone in the Mojave. 7:00 AM Meet at Hunters on Arenas for carpooling. Click Here for Map . We will meet up at Giant Rock at 8:00 AM and the clean-up will end at 12PM. Wear appropriate desert work clothing with sturdy close-toed shoes, and bring a water bottle and any snacks you might want. There will be jugs for refilling your water, and all the tools or gloves or etc that might be needed. 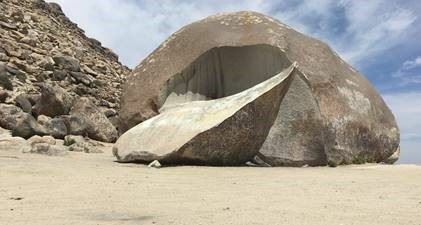 In an effort to keep the Giant Rock area pristine the Hi-Desert Nature Museum will celebrate National Public Lands Day with Karyl Newman and Blight Sites, the BLM Barstow Field Office, the Mojave Desert Land Trust, the Landers Community Assoc., and all other volunteers who love their public lands. Join us for stories and stewardship at Giant Rock. Project experts Mike Digby, a retired bomb squad detective from Los Angeles and Daniel McCarthy, Anthropologist and former Director of the Cultural Resources Management Department for the San Manuel Band of Mission Indians will be available for information and questions.